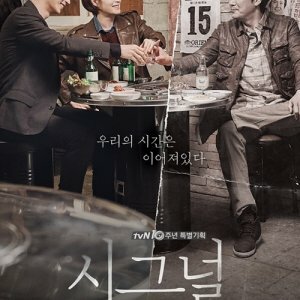 I enjoyed this drama for the most part but it wasn't the best daily drama I've seen... It got really good by episode 40ish all the way through episode 80 something but by episode 90 and up it got really draggy and things seemed to repeat themselves way too much - it got tiresome to watch but I stuck through it b/c I loved the main lead guy Soo Hyuk a lot! He's the kind of guy I'd want to pull out of the drama and have for myself! The drama is about a girl who gets her entire life stolen from her by someone she mistook as a friend who was actually a foe (a wolf in disguise) - the synopsis says after all this she fights back - which she does but by staying true to herself. Cast: Kang Kyung Joon as Soo Hyuk - My absolute Favorite character in this drama!! The one who made me stick through this and enjoy the ride - he was charming, stable, trustworthy and firm - he knew what he stood for and what he stood against. He would hold our lead girl together and give her courage to do what she must. And he was in a standstill with his grandmother at the same time. He knew how to look past his own hurt and see someone elses hurt and forgive his enemies b/c of love. He said: "I can't forgive but I won't take vengeance either, there is life between forgiveness and revenge." - he's a very wise man - I seriously would date and marry a guy like him! He is someone you could rely on! He plays a chef in the drama and has a very carefree easy going personality that is sure to win your heart. Park Eun Hye as Min Kyung Chae - she was the vice-president of the Hotel and lived at home with her father (the CEO of the Hotel), her mother who was in a wheelchair b/c of a birth gone wrong and her little sister who has a mentality of a 7yr old (born that way). She was a very honest and nice girl who ended up being too trusting and ends up being betrayed by not only her "friend" but her fiance and in the process looses her job, her lover, and her family - as she struggles to survive Soo Hyuk helps her and she finds new love and grows stronger in order to take down the person who continues to do evil. Wang Bit Na as Eun Hee Soo - a girl who lived her life on the other side - she was full of ambition and envy - one night she kills a man and Kyung Chae is an unknowing victim - this makes Hee Soo see an opportunity and she weasels her way into Kyung Chae's life only to chip away at it in order to take it. She gets her pity and acts like an angel in order to deceive everyone and has no remorse on any of her actions. She constantly says "What did I do wrong? I did nothing wrong!" She is a snake through and through - honestly she reminded me of the Wicked Witch from USA Tv series 'Once Upon a Time' and how she was always so envious of Regina (she even resembles that actress). Kang Ji Sub as Han Ji Sub - Probably the most Pathetic man I've ever come across in drama-land. He'd believe again again after being deceived and knowing he was deceived - all it took was a few sweet words and some seductory and he was a wimp in the arms of the witch. His attitude towards others his ambition/greed that set him on the wrong path and his actions when he felt a certain way were so so so so so pathetic (you'd know what I mean if you watch this) I swear that word was written onto his entire body - he embodied that word. He was however in the end a pretty decent guy who just truly wanted to believe his wife and trust her but in the end that was his stupidity. Han Ji Subs parents - His mother was the most obnoxious woman ever!!! Goodness I didn't like anything about her - looks, voice, mannerisms, the way she held herself, her attitude, her facial expressions - geez everything about her was a nightmare!!! her little spazzing fights with Hee Soo's mother however were quite funny (although I did skip most of their scenes only stopped to see them fight) His dad was like a run-over mat but generally a nice guy (and it was hilarious to watch him struggle to get up after he was pushed over by the fighting women)!